Louise has a passion for sharing God’s Word and applying it in a memorable way to everyday life. 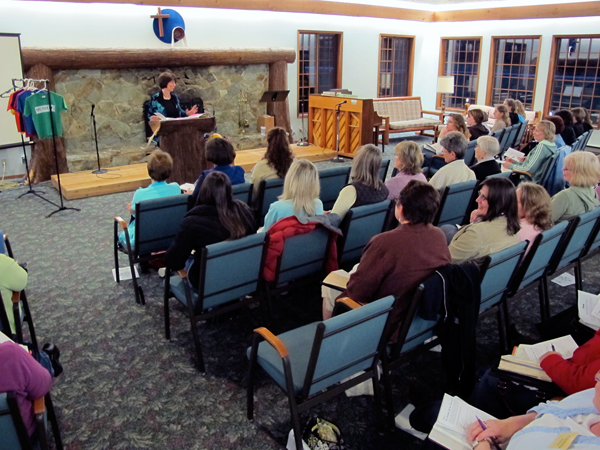 She speaks at Women’s Retreats and special events. She also has a deep desire to encourage and support caregivers of Alzheimer’s patients. 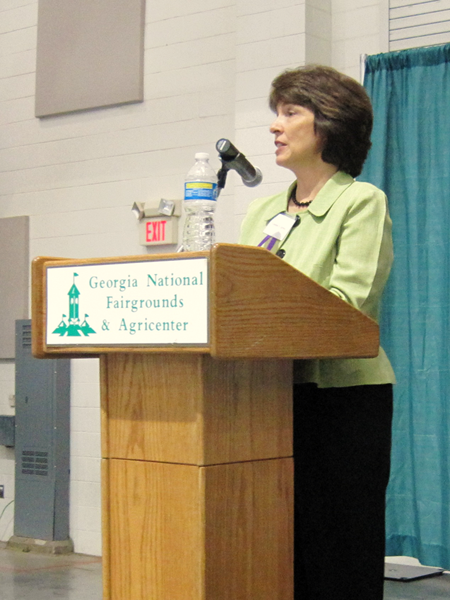 She speaks at Alzheimer’s Caregiver Conferences and to Caregiver support groups. I would love to join you for your next event, large or small. Contact me to discuss your speaking needs. Louise speaks right to the heart. Louise weaves a captivating story with threads of compassion, humor, and joy. Louise’s compassion and caring shines through as she tells the story of how she came to care for her father-in-law, Art, as he struggled with dementia. Thrown into the role of caregiver and not sure how to navigate the world of dementia, Louise shares her story about her struggles and frustrations as well as her triumphs and blessings, as she cared for her then ninety-four year old father-in-law. Louise’s story is very relatable to what caregivers all over the country are going through. That’s what makes her story and her book, The Hedge People, one of our all-time favorite Alzheimer’s talks at Country Meadows of Frederick. I highly recommend her as both a speaker and as an author.